Mrs. Lois Tolbert Dasher, 93, died on Saturday, February 2, 2019 in Rock Hill, SC. Mrs. Dasher was born in Savannah to Luther L. and Belva Beacham Tolbert and lived in Savannah area for 87 years. She spent the last 6 years at the Westminster Towers in Rock Hill. She was an active member of the Good Shepherd Lutheran Church in Garden City since 1951 where she sang in the choir for 62 years and prepared communion for 50 years. Mrs. Dasher graduated from Savannah High School in 1943. She was a Rainbow Girl and received the Grand Cross of Color. She worked at the Savannah Morning New & Press from 1943 to 1945, and at the Savannah Electric & Power Co. from 1945 to 1953, where she met her future husband, Milton, in 1946. They were married for 59 years. Mrs. Dasher was elected as the first woman on the Garden City Council in 1978 and served for 7 years. She was preceded in death by her husband, Milton, in 2005. She is survived by her two sons and spouses, Luther W. Dasher and Diane of Fort Mill, SC, Glenn T. Dasher and Sally of Huntsville, AL, and one daughter and spouse, Lisette D. Branscomb and Jack of Lilburn, GA.; five grandchildren, Rachel (Aaron Hymes), Gregory (Kate), Katie (Dan Kish), Glenn Branscomb (Lauren) and John; and two great-grandchildren, Elliott and Ticen Hymes. There will be a visitation from 9:30-11:00 a.m. with the funeral service to follow at 11:00 a.m. on Saturday, February 16, at Good Shepherd Lutheran Church. Interment: Bonaventure Cemetery. 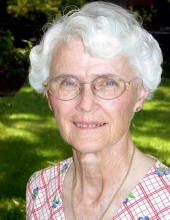 In leu of flowers, remembrances may be given to Good Shepherd Lutheran Church, 41 Main Street, Garden City, GA. 31408. To send flowers or a remembrance gift to the family of Lois Tolbert Dasher, please visit our Tribute Store. "Email Address" would like to share the life celebration of Lois Tolbert Dasher. Click on the "link" to go to share a favorite memory or leave a condolence message for the family.